Masanjia labor camp in China. When would shutting down a system that arbitrarily detains, tortures, and abuses hundreds of thousands of people not be unambiguously good? Answer: When the Chinese regime announces it is closing the re-education through labor camp system, but then uses other means of arbitrary detention to persecute the same groups in the same ways as before. That seems to be what is happening, according to an Amnesty International report released Tuesday. Based on 60 interviews of individuals done over the past four years from all parts of China who have been held in labor camps or suffered other forms of arbitrary detention, “’Changing the soup but not the medicine?’ – Abolishing Re-education Through Labor in China” provides a snapshot of how the Chinese regime is handling its promise to abolish the labor camp system. The Chinese Communist Party (CCP) has used the system of re-education through labor camps as an essential tool of political oppression. They were begun in the 1950s to detain those whom the Party deemed its enemies because of their class background or incorrect thoughts. “Counterrevolutionaries” and “rightists” were punished in the camps and in theory their detentions did not cost the state anything, since they were forced to do slave labor. In recent years the population of the camps has featured a new set of “enemies.” The camps have held Falun Gong practitioners, petitioners (those who have appealed to CCP officials about injustices they have suffered), human rights defenders, democracy activists, Internet bloggers, environmental activists, house church Christians, Tibetans, and Uyghur Muslims, along with drug addicts and other common criminals. The labor camps have remained arbitrary: police can lock someone up in a labor camp for three years without the benefit of a trial or even a search warrant. No public record exists of detainees or their sentences. Corinna-Barbara Francis, China researcher for Amnesty International, said the announcement by the CCP on Nov. 15 that it was closing the labor camps is less than it appears. “What our research has shown is that while they may be abolishing this particular form of arbitrary detention, they are using other methods of arbitrary detention to continue some of the same types of punishment and persecution of many of the same groups that were formerly punished through the re-education through labor camp system,” Francis told New Tang Dynasty Television. According to Amnesty International, some camps are simply changing the sign out front. What was formerly a re-education through labor camp becomes an enforced-drug labor camp—a place for treating drug addicts. After the sign changes, the same population as before remains within the facility. Other camps are repurposed in other ways. What had been a re-education through labor camp may become a brainwashing center. When camps are actually closed, detainees are often simply shuttled to another labor camp or to another form of arbitrary detention, such as brainwashing centers, legal education classes, black jails, or psychiatric institutions. Political detainees, petitioners, and Falun Gong practitioners in particular are given this treatment, according to the Amnesty report. Petitioners, according to the report, are most often sent to black jails. Practitioners are most often sent to brainwashing centers, often know by the formal name of legal education center. Black jails are facilities that exist off the books, and officials will often deny their existence. Neither the black jails nor the brainwashing centers have any status under Chinese law. Like labor camps, detention in these places is arbitrary, without involvement of the courts. “Abusive treatment, including torture and ill-treatment are endemic in both ‘black jails’ and ‘brainwashing centers,’” according to the report. The labor camps have played a key role in the CCP’s efforts to eradicate the spiritual practice of Falun Gong, also known as Falun Dafa. The persecution of Falun Gong began in 1999 by then-CCP head Jiang Zemin. Jiang feared the popularity of the practice—according to official figures 70 million Chinese had taken up Falun Gong (practitioners say the actual number was over 100 million). He also feared that the Chinese people would find the teachings of Falun Gong more attractive than communist ideology. The goal of detaining the practitioners is to “transform” them—cause them to agree to give up belief in Falun Gong. The labor camps do this by subjecting inmates upon their arrival to intense study sessions and self-criticism sessions. The inmate is expected to show contrition for prior beliefs and sign statements expressing guilt. If the inmate is stubborn in holding onto his or her beliefs, then mistreatment is applied, beginning, according to Amnesty, with “softer” forms like sleep deprivation, and graduating to systematic and severe torture. According to Amnesty, on average one-third of the population of the camps has been Falun Gong practitioners, and in some camps, 100 percent of the detainees were practitioners. According to official Ministry of Justice figures quoted by Amnesty, in 1999 the camps held 310,000 inmates, a number that swelled to 400,000 in 2007. Unofficial figures peg the population of the camps at much higher numbers. 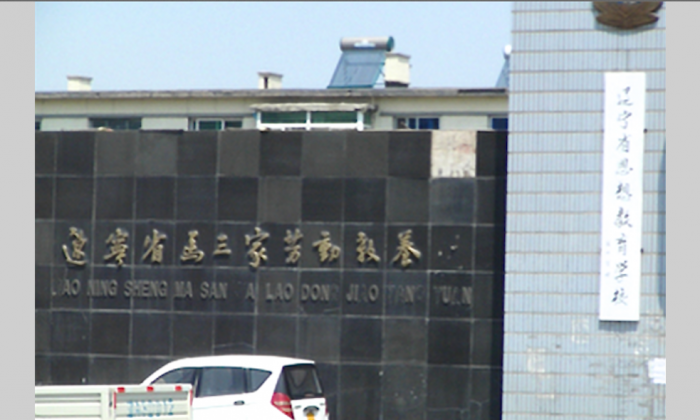 Amnesty refers to an employee in China’s judicial system quoted in the mainland China Caijing magazine as saying the question of how to handle the large proportion of labor camp detainees who were Falun Gong practitioners—referred to in coded language in the article—may have delayed the decision to abolish the labor camps for years. Amnesty has found that, when practitioners are scheduled to be released from labor camps that are closing, representatives of the 610 Office—the Party organ tasked with persecuting Falun Gong—will appear and whisk them off to detention somewhere else. Or, in some cases officials require family members to sign statements guaranteeing the individual’s behavior. Erping Zhang, spokesman for the Falun Dafa Information Center, commented on the significance of the Amnesty International report’s findings.